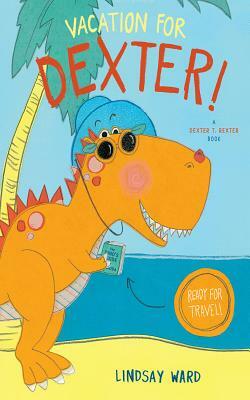 Dexter T. Rexter is on a plane--for the very first time. Dexter can't wait to go on vacation with his best friend, Jack. Supercool orange sunglasses? Check. Nifty travel hat? Check. Plane tickets? Uh, what? Dexter may be the toughest, coolest dinosaur around, but everyone knows T. rexes don't fly If anyone could do it, he could. It's just that he's suddenly feeling a little hot. And maybe a little nervous. But just as he starts to melt down, he notices Jack looks upset. Dexter realizes he has to be brave enough for both of them. And maybe, just maybe, he'll start to have a bit of fun in the air.